Learn how to review, renew and reignite your relationship! Has your relationship become stuck, or dull and predictable? Are things not like they used to be between you, but you can’t put your finger on what’s wrong – or how to fix it? Do you fear you may split up – causing you great heartache, and financial problems too? Are you wondering if there IS something you can do, without spending many months in couples counselling, or reading a pile of self-help books? Or are you just starting out in your relationship and want to give it the best chance of success from the start? 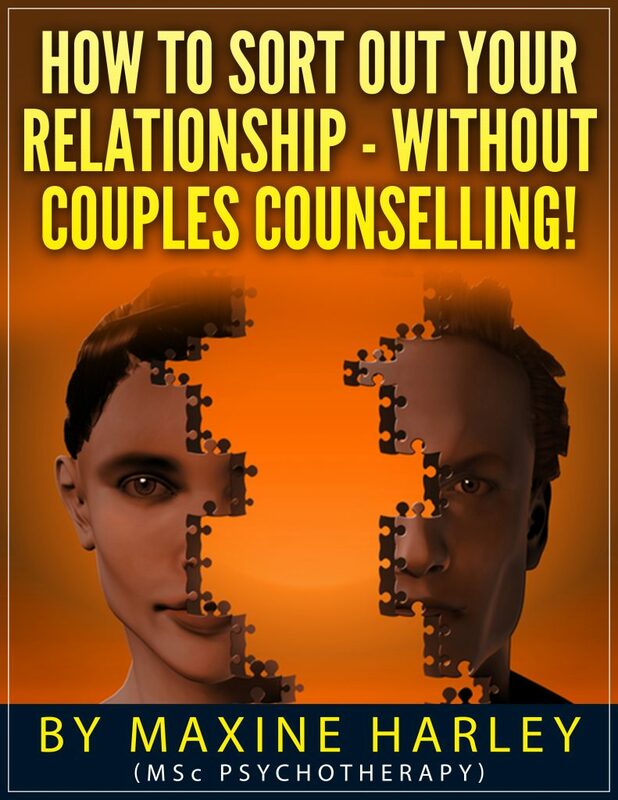 If so, I can help you – and all for less than the cost of one couples-counselling session! 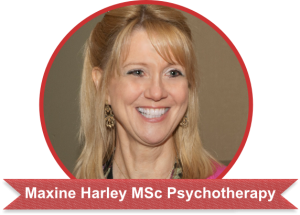 As a psychotherapist for the last 20 years I’ve worked with many couples to help them to re-connect with one another and to become a ‘team of two’. I know that many things can get in the way of the special relationship you want to have. These can be worked through to bring you closer together, so that you can again share the love, fun and deeper friendship that you had when you started out. I’ve helped many couples – and I want the opportunity to help you too! Thank you Maxine! You’ve saved my marriage and my sanity! … splitting up would have been so painful, (and expensive too). I hope more people at least give your course a try before they give up hope. I have to say your online course has been well worth the few hours it took to work through it. We’re now feeling much closer again and the bickering has stopped at last. We knew things were going wrong between us, but we didn’t know what to do about it. We’d tried counselling for a few sessions but that was a waste of money and to be fair hubby didn’t really take it seriously. It’s like we’re getting to know each other again after all these years of taking each other for granted. emotional connection, comfort and excitement. feeling frustrated and lonely – but you don’t know what to do about it. and preferences in your relationship. We identify your relationship problems. marathon weekend session – the choice is yours. out a review of the state of your relationship. some easy to do exercises that will ignite the chemistry between you again. healthy relationship, as well as the common problems that couples seek help for. • I end by including some of my own articles which help to shed more light upon relationships and emotional attachments. All of this will enable you to review, repair, renew, re-ignite and revitalise your relationship, and prevent it from being stuck in – or slipping into – a bad state. What would that be worth to you, your family, your emotional health- not to mention your finances and future? You will both benefit from sorting out your relationship – if you are both willing to give it a go. What have you got to lose? Nothing – I guarantee that! What might you gain? You won’t know unless you trust that I can really help you and you decide to go ahead – NOW! If, within 14 days of purchase, you’re not 100% convinced that this course has been of help to you – at least by as much as one counselling session would have been – then let me know why and I will refund your money. 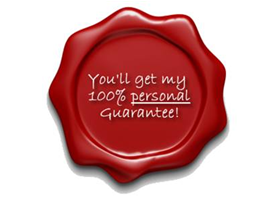 I don’t expect for one minute that this will be necessary for me to do because I know what you would get from a counselling session compared to the enormous amount you will get from this course – so I’m happy to give you this guarantee. P.S. What if you do nothing and don’t invest in your relationship and your future – will you regret it in three months time when things may have gone too far down the wrong road? P.P.S. Remember – professional help IS available from me in this online course – to enhance your relationship and bring you the happiness and satisfaction you want from it… without the time, cost or intrusion of couples counselling. The relationship help, relationship advice and relationship tips you need are all here to answer your relationship questions and clear up those relationship problems for good – and all for less than a decent bunch of flowers! which includes having multiple sexual partners. they can improve their relationship). no energy or desire to change things now).